Gatlinburg Cabin Rentals has no shortage of options when you’re looking for that perfect cabin for your vacation. 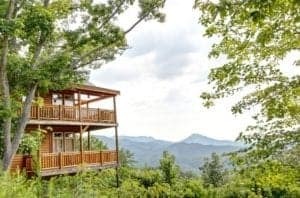 While most people tend to look for cabins in Gatlinburg and Pigeon Forge, our Sevierville cabins are truly something special. We’ll give you 5 reasons why these rentals will give you the best time when you need it the most! We realize the majority of fun things to do in the Smoky Mountains revolve around the areas of Pigeon Forge and Gatlinburg, but you should realize you’re not far at all from these areas too. The Sevierville destination does not isolate them from any of the areas you want to visit on vacation. Whether that means the ​Great Smoky Mountains National Park​ or ​Dollywood​, the fun is always just around the corner! What’s fantastic about staying in our Sevierville cabins is the amount of amenities each one provides, giving you the best in comfort and convenience. Looking to fire up the grill and have a barbecue? That’s something easily done when you have all the desired kitchen elements to replicate your favorite home meal. Our cabins also have games with the space to accommodate the kids during play times. Spend as much time doing whatever makes you and your family happy! being in the middle of the action. You’ll have just the right amount of peace and quiet in these cabins! The mountains and beautiful scenery are seemingly everywhere when you look at what our Sevierville cabins offer. The Smoky Mountains are quite the wonder, but if you can imagine, the wooded views are a match when it comes to comparing the two. Water is splashed all over the landscape too, and you’re never far from the lovely mountain streams that meander by some of our fantastic cabins. These are all options that we’re sure will excite you about the experience. Despite the fact that the previous 4 reasons will give you plenty of family memories, you can absolutely create your own at one of our amazing cabins. That’s what makes a vacation so very special — being able to spend quality family time you might not have before. Those are the hallmarks of a vacation that you’re sure to cherish, and with our rentals, we can certainly help you with that. There’s just no substitute for a great family vacation in one of our Sevierville cabins. It’s a guarantee — from the reasons we gave — that your time in one of these beautiful properties will be wonderful. Pick your favorite one and ​book it today​!